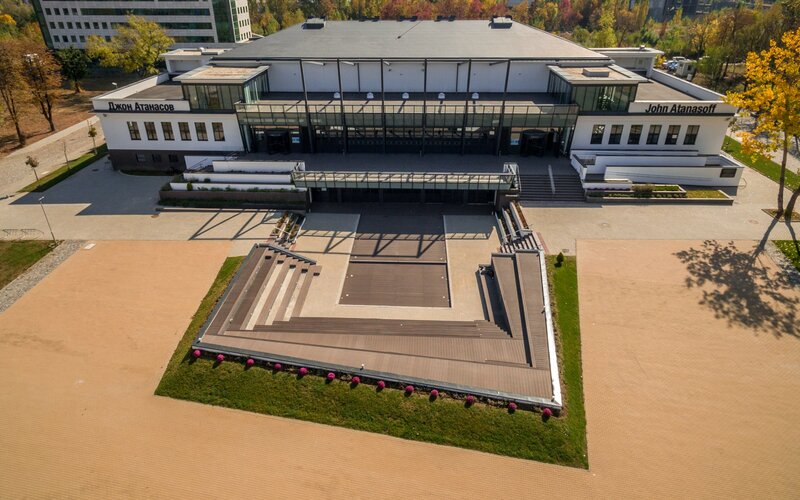 The Innovation Forum “John Atanasoff” is the multifunctional event venue which hosts various conferences, workshops, congresses and other events which aim is to boost the dialogue between the scientific and business communities. Its function is to facilitate the formation of the ecosystem in the field of technology transfer and innovation as well as to provide a proper environment for the ideas exchange. One conference hall with a capacity of 500 seating places.